Amazon India is offering VLCC Haldi Tulsi Facial Kit and Ayurveda Shampoo Combo at Rs 130 worth Rs 270 at a discount of 52%. Hurry! 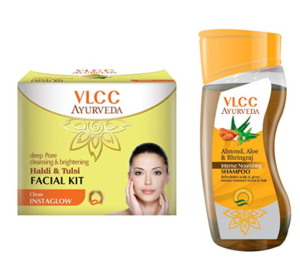 How to buy VLCC Haldi Tulsi Facial Kit and Ayurveda Shampoo Combo at Rs 130?